“Our family, profoundly linked to the territory, over the years has invested in planting vineyards and olive groves in the best climatic zones of Lake Garda. This decision has contributed to the development of our company that you can count on for wonderful grapes. Taver is a dialect word of an indigenous plant, the hornbeam, which covered the area of until the 17th century. To give continuity to the history of the land, father Bepi chose Taver as the name of the farm when it was established in 1973. The winery has 20 hectares of vineyards and olive groves, scattered on the west shore of Lake Garda. Popular products include the Garda Classico DOC wines and Extra Virgin Olive Oil DOP Garda. The farm breeds pigs and poultry and the meat and eggs are served in the agriturismo. The rustic restaurant which serves traditional dishes such as spiedo (reservation required). The food is excellent for the price and it’s well worth timing your visit so that you can follow up your wine tasting with ‘pranzo di lavoro’, which is served every weekday lunchtime and costs €10. The farm also produces its own olive oil which is pressed immediately in it’s own mill to ensure finest quality and low acidity. The farm also makes it’s own delicious honey. Yes, Taver is also an agriturismo with a fantastic ‘ristorante’, which serves an excellent ‘pranzo di lavoro’. 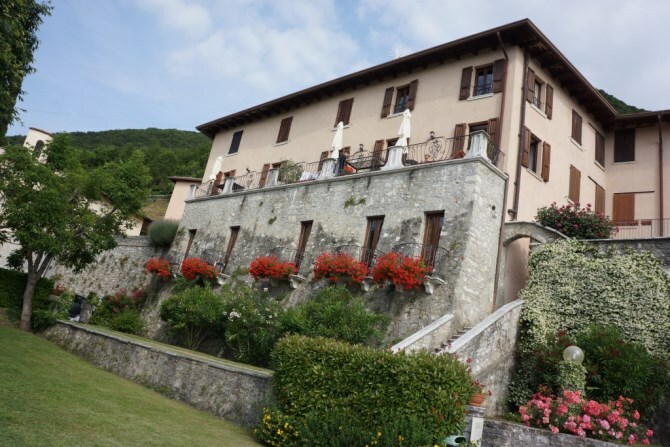 The agriturismo also has rooms to rent. Visit the website for full details. Taver also has it’s own oil mill on site so if you are in the area between mid October and early November why not pop in to watch the olives turn in to oil. The company mill olives own works. The olives are matured between mid-October and early November, are harvested and pressed the same day to keep the scent and the distinctive taste of the oil with very low acidity. The extraction at low temperature (below 27 °) results in extra virgin olive oil of the highest quality. Lake Garda oil is renowned for its delicacy, its finely fruity taste and for it’s incredible digestibility. To obtain ‘Extra Virgin Olive Oil DOP Garda’ classification, strict rules must be adhered to thus guaranteeing the low acidity and excellent quality. Taver also make their own honey. I wish to be your guest at least for two weeks & go around Garda Lake. Which is the nearest airport from your Farm? Also please let me know the nearest railway station from your farm. The nearest airports are Verona and Milan Bergamo, both around an hour away. The nearest train station is Desenzano which is 20minutes away. I hope this helps. 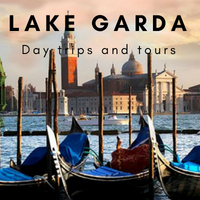 I know this is a very late request but my husband and I will be visiting the Lake Garda area tomorrow, Sunday, September 16. Is there any way we could have a tour of the olive milk and also have lunch at your farm? Again I apologize for the late request and recognize it may not be possible.